Bill is a pencil-drawn stick man. He has a circle for a head and his eyes are merely two small black dots. He doesn't speak, and his only distinguishing feature is the hat that is permanently perched on his head. Bill is the star on Don Hertzfeldt's first feature film It's Such a Beautiful Day, and although we spend little over an hour in his company, the brilliance of Hertzfeldt's craft ensures that Bill is one of the most fully realised characters you'll see in a movie all year. You won't believe how much emotion Hertzfeldt can elicit from that simple little black-and-white creation. Of course, we've already seen Don Hertzfeldt work wonders with stick men in his acclaimed short films. In Rejected, he created an increasingly anarchic series of comic commercials before the whole film deteriorated and collapsed in on itself, while The Meaning of Life incorporated dazzling in-camera effects to take us on a journey through time and space. The short films he has made show an artist gradually growing in confidence and technique, and testing the boundaries of what his chosen medium can do, but nothing can prepare you for the advances he has made in his latest work. It's Such a Beautiful Day consists of three short films (Everything will be OK, I Am So Proud of You and It's Such a Beautiful Day) that Hertzfeldt has edited into single work, and the complexity and depth of the film, both in its storytelling and emotional content, is simply staggering. As Hertzfeldt's visual and thematic ambitions have moved forward, the one constant in his work has been the simplicity of his protagonists. Bill remains a simple stick man, whose lack of defining characteristics only serve to make him more relatable to the viewer. When placed against the live-action footage and optical effects that Hertzfeldt layers into the film, the subtle manipulations of Bill's few features imbue him with an extraordinary depth and humanity. When he leans forward to look at the words "I love you" written in the sand, the manner in which he moves and peers intently expresses a whole range of feelings – curiosity, sadness, confusion, hope – and Hertzfeldt creates such moments throughout the film, often simply through a minute variance in the positioning of his eyes or hands. When Bill receives an unwelcome diagnosis from his doctor, he removes his hat from his head and disconsolately rubs his head with his hand. It's one of the most surprising moments in the film, and it carries an incredible power. 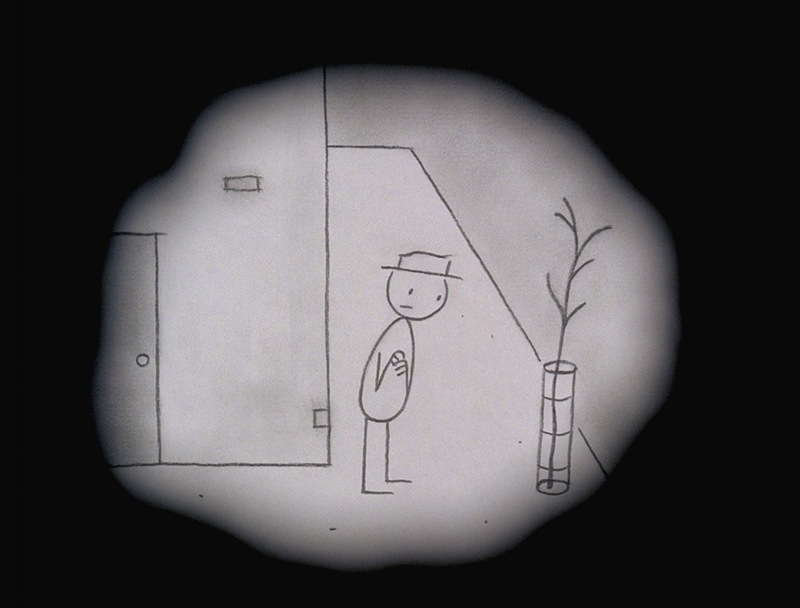 It's Such a Beautiful Day begins by taking us through the mundane episodes of Bill's nondescript life, all of which is narrated by Hertzfeldt in a dispassionate, deadpan style. Some of these brief vignettes are funny and surreal, such as Bill's reasons for pulling fruit from the back of the supermarket shelves, or his vision of humans as little more than brains and spinal cords wandering around independently, but gradually the tone darkens. It's Such a Beautiful Day is a film about Bill's failing mind and body, territory that Hertzfeldt charts fearlessly but with a tangible tenderness. 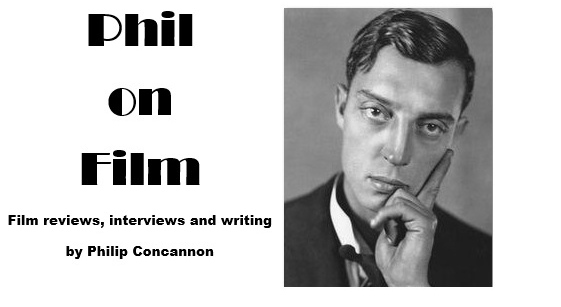 The film's non-chronological structure shuttles back and forth between Bill's present-day experiences and his often-troubling memories of growing up in a family embattled by mental illness. A Proustian instinctiveness drives Hertzfeldt's exploration of Bill's world, with memories being sparked by objects or emotions and then connections being drawn with other experiences, but he never allows the audience to feel lost as we pinball around inside this emotionally wrenching tale, even as the complexity of his visual and aural design threatens to overwhelm. It's hard to think of another recent film that has explores themes of life and death with such a light but perceptive touch. The construction of It's Such a Beautiful Day (along with some shared musical choices) recalls Terrence Malick's The Tree of Life, but in truth there is nothing to compare it with because Hertzfeldt is a truly original voice. It's Such a Beautiful Day a miniature epic; a film replete with sublime, heart-stopping moments that manages to detail the whole of a man's life, laying bare his heart and soul, in just 61 minutes. Don Hertzfeldt has always been a singular talent, but this film shows us a maturation and refinement of his artistry, and his deepening humanism. His earlier short films were often cruel and nihilistic, but It's Such a Beautiful Day has a lingering hopefulness, even in death. Bill may only be a few pencil markings on a piece of paper, but Hertzfeldt has created a character who will live forever. It's Such a Beautiful Day is available to watch here.